University of Ljubljana does not offer support agreements. The Orange user community provides informal support through an online forum. Orange is a free product. 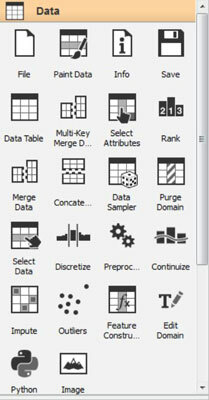 It’s in the Data group, the only data import tool. 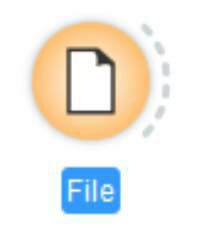 Click the File widget once to place it on the work area. 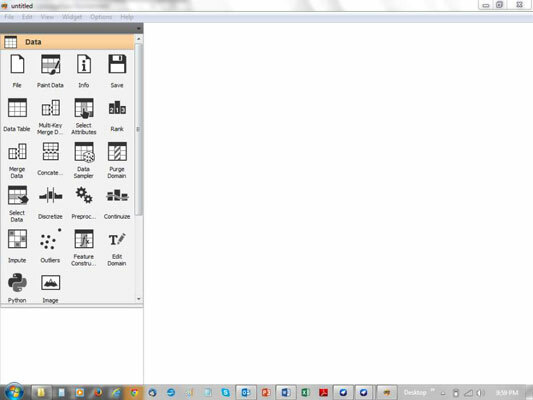 Placing the File widget on the work area is easy to do. 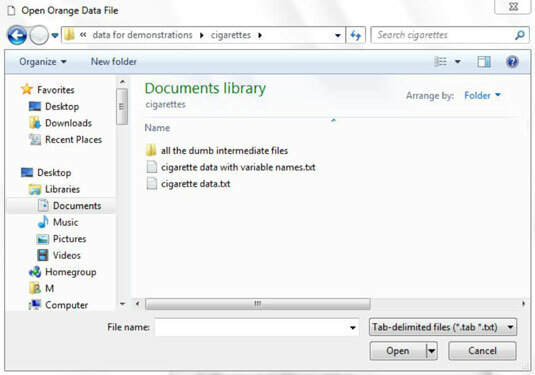 Browse to find the cigarette data. Oops! The drop-down list of file types doesn’t offer an option for the .csv format. You’ll have to convert the data to another format before you can open it in this data-mining application.